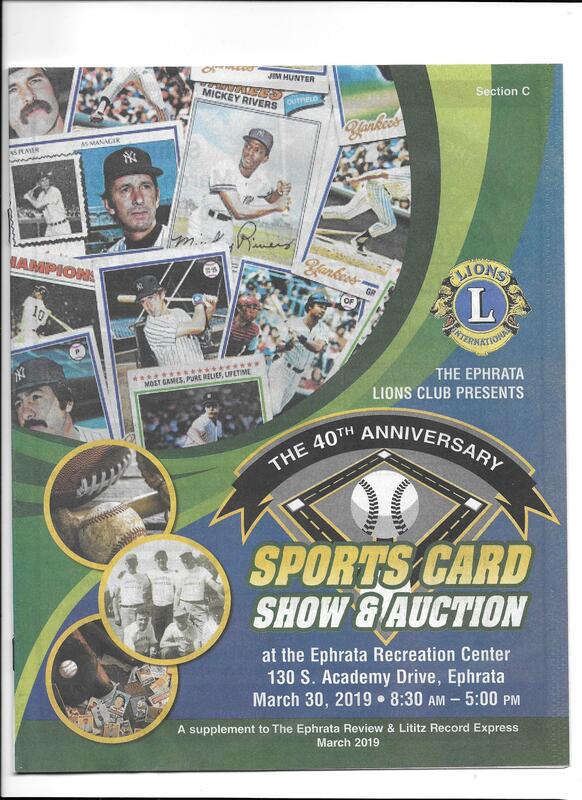 For the past 40 years the Ephrata Lions Club has held their annual Sports Card Show & Auction. To keep a show going like this for 40 years is quite impressive. This is the longest-running one-day show on the east coast. I’ve been attending this show since 1997. 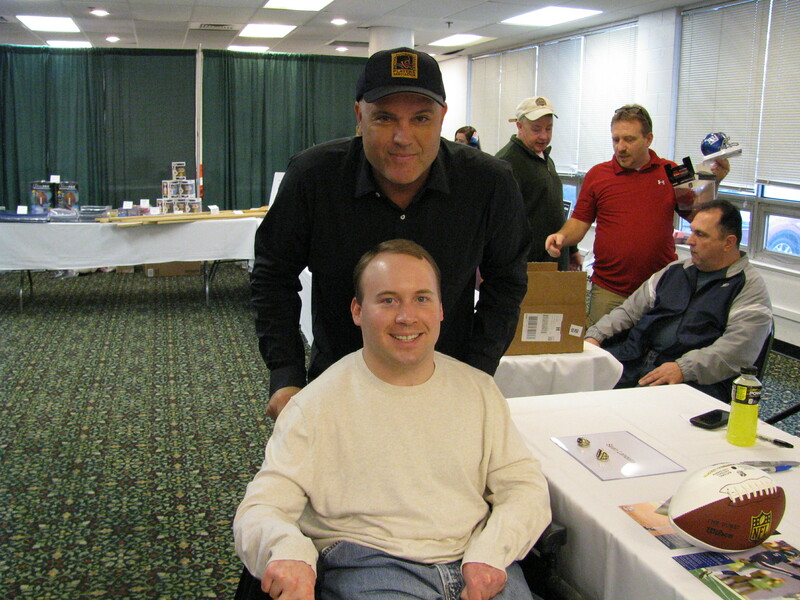 Each year they have at least one autograph guest. To celebrate their 40th anniversary, two signers were placed on the schedule. 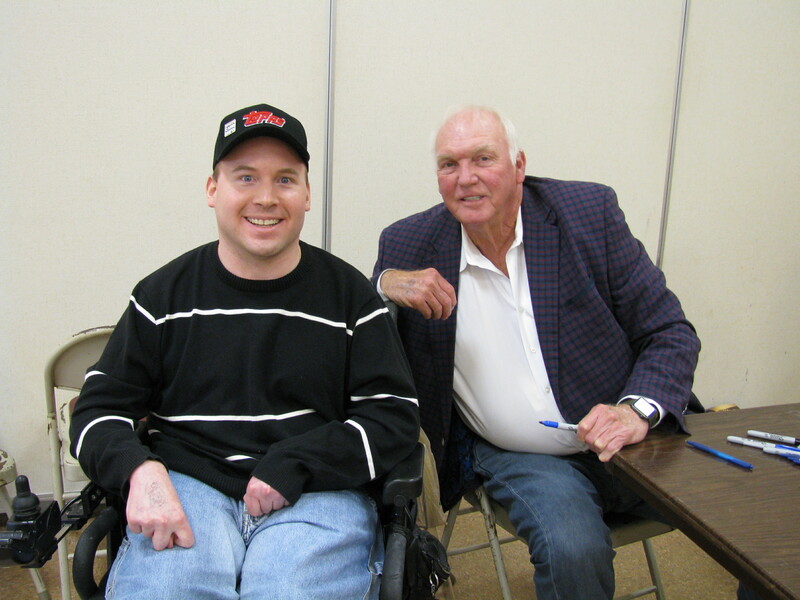 First up, signing at 11:00 was former Phillies manager, and 2008 World Series champion Charlie Manuel. 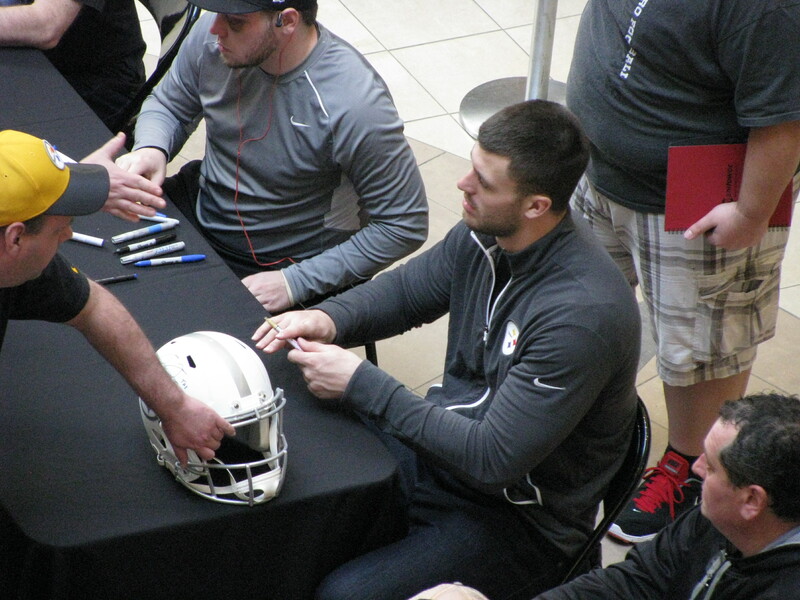 Second, signing at 11:30 was former Eagles tight end, and Super Bowl LII champion Brent Celek. Both Charlie Manuel and Brent Celek arrived on time, and had a steady line of collectors wanting their autographs. One of the best things about this show is the cost. Charlie Manuel was only $25 for any item. 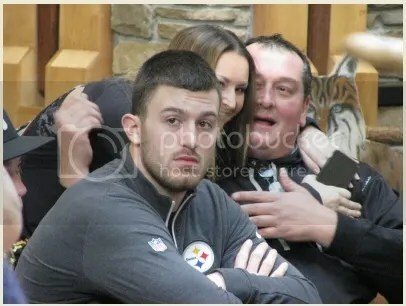 Brent Celek was $30 for flats, and $40 for premiums. Not bad at all. Only (250) tickets were sold for each guest. I was ticket #11 for Charlie Manuel. (70) dealers, plus the items for the auction take up about two basketball courts. Admission is $5. You want to hear about a deal? Lunch consisted of (2) hot dogs, (2) bags of chips, and a bottle of water. All of that for $5. Its a great fundraiser. I believe the cost, combined with great autograph guests is why this show has survived so long. Is it the biggest show? Of course not. That honor belongs to the National. But what it does have is a fantastic following, core group of dealers, and a lot of nice stuff. If you’re a Penn State, Philadelphia Eagles, Pittsburgh Steelers, and/or Philadelphia Phillies fan, this is the show for you. Talk about a heavy concentration of those teams. There usually is a good mix of both vintage and modern cards. At least two dealers were selling new wax boxes. Products that were released on Friday 3/29 were available to purchase at the show on Saturday 3/30. Tons of dollar boxes for you to sit down at and flip through too. My main Phillies guy I collect is former broadcaster and Hall of Famer Harry Kalas. He doesn’t have a ton of stuff to collect. On Saturday, I ran into four Harry Kalas/Richie Ashburn bobbleheads that the Phillies gave out in 2002. I also ran into a Harry Kalas auto from 2005 Upper Deck Sweet Spot Classic. You know there is a great concentration of Phillies memorabilia at a show when you run into that much Harry Kalas stuff. In addition to meeting Charlie Manuel and getting his autograph on my bat, I picked up a few neat items for my collection. Great deals could be found. An older gentleman had a couple of tables setup inside the door. 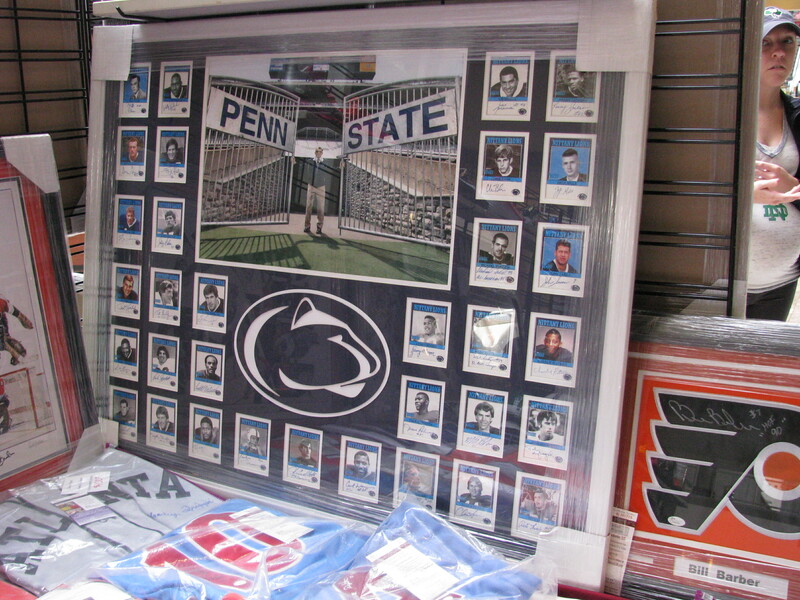 From him I got a Penn State Nittany Lion bobblehead from 2002 that was part of a deal with McDonald’s. 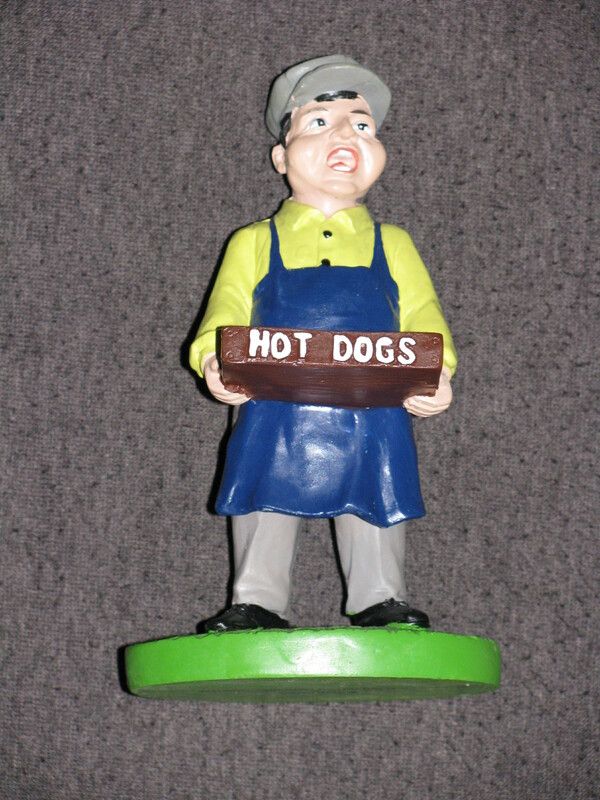 I also bought a Hartland Collectibles statue of a hot dog vendor from 2006 from the same guy. Total impulse buy, but looks great on my shelf. One of my favorite souvenirs from the day was a freebie. The Ephrata Lions Club put together a multi-page booklet that documents the history of the show. Very cool! I highly recommend checking this show out. Definitely worth it. They usually hold it the last Saturday in March at the Ephrata Recreation Center. Former Phillies manager, and 2008 World Series champion Charlie Manuel. 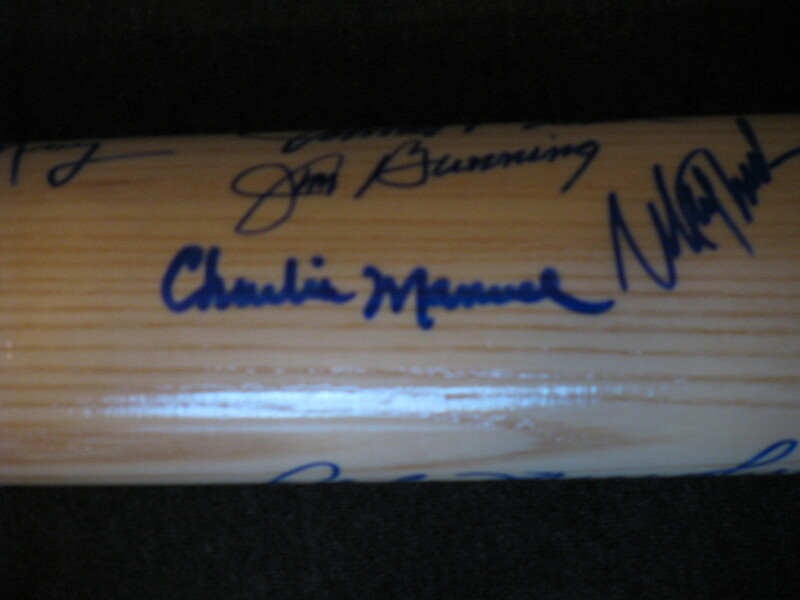 Charlie Manuel’s autograph on my bat. 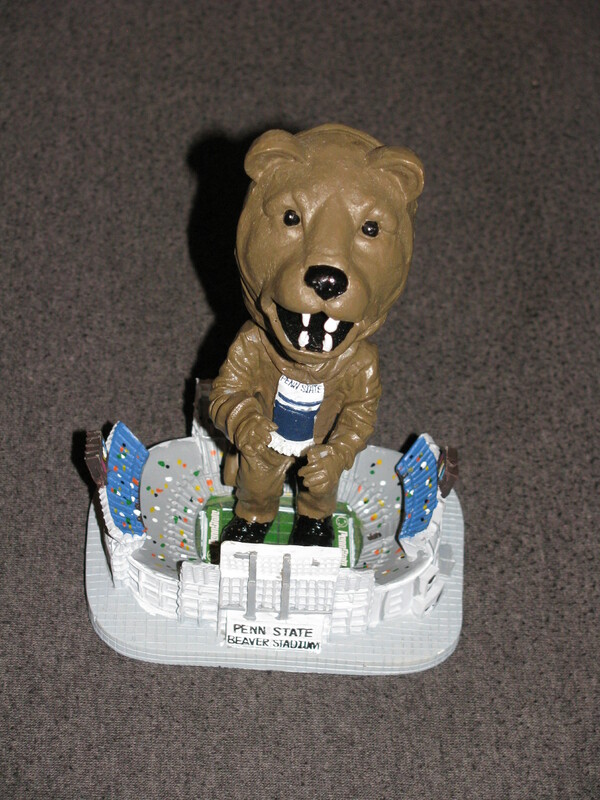 Penn State Nittany Lion bobblehead from 2002 that was part of a deal with McDonald’s. Hartland Collectibles statue of a hot dog vendor from 2006. Free booklet documenting the history of the show. 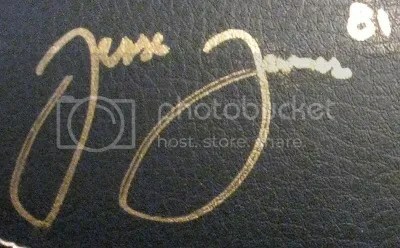 Autograph guests through the years. The show began in 1979, but signers didn’t start until 1980. One of the longest running sports card shows in the country is celebrating it’s 40th anniversary next year. 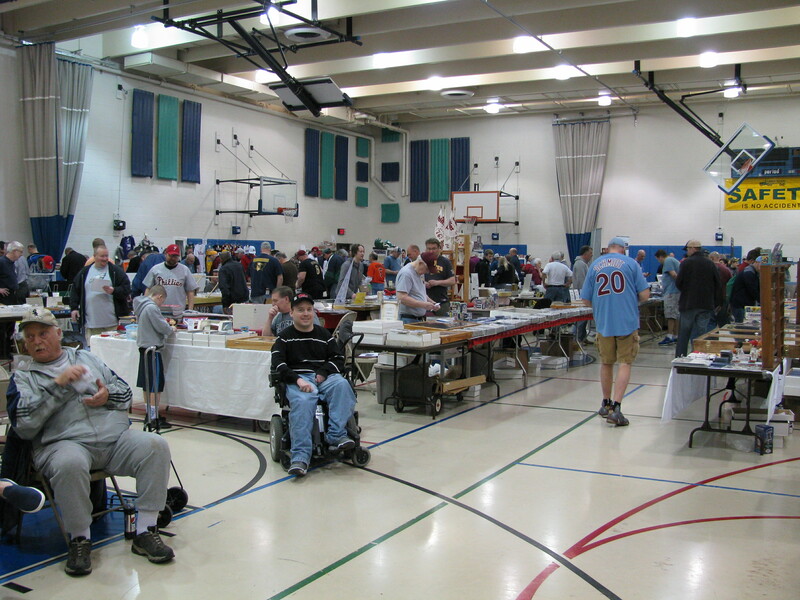 Since 1980 the Ephrata Lions Club has held it’s annual sports card show. 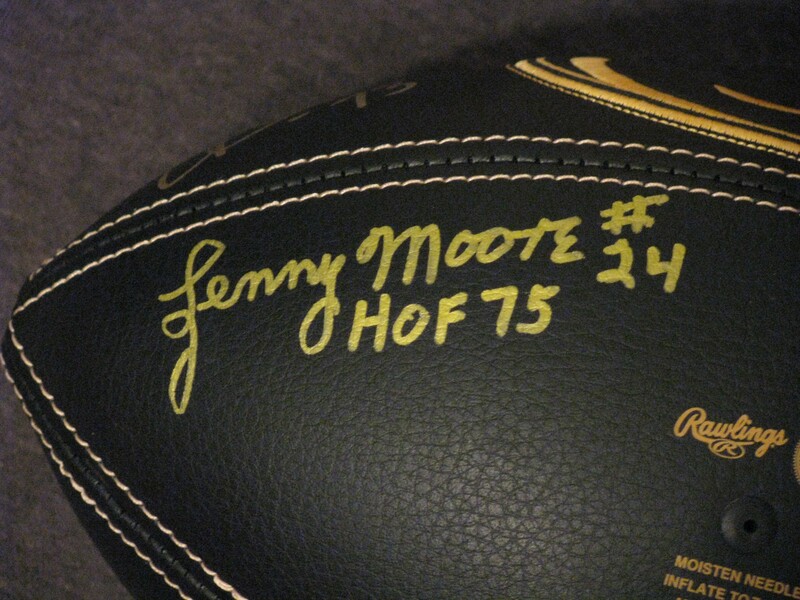 Its been going for as long as the National Sports Collectors Convention. 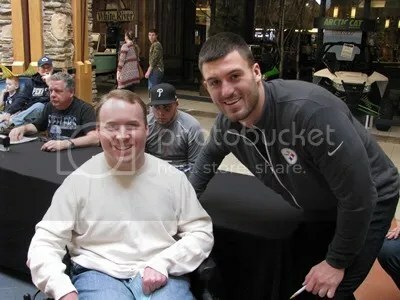 The 2019 show will be held at the Ephrata Recreation Center Saturday, March 30. 40 years is a tremendous accomplishment for a card show. In honor of this momentous occasion, there will be (2) autograph guests instead of the normal (1). Signing from 11:00-1:00 will be former Phillies manager, and 2008 World Series Champion Charlie Manuel. 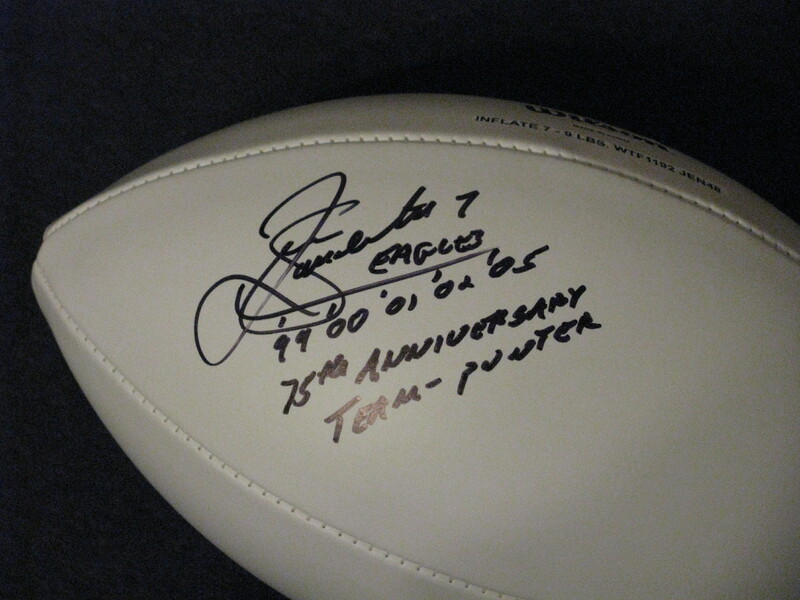 The second guest will be former Eagles tight end, and Super Bowl LII Champion Brent Celek signing from 11:30-1:30. Only (250) tickets will be sold for each guest. You better get there early, the show opens at 8:30. The show itself consists of (70) tables, and takes up about two basketball courts. There usually is a good supply of both vintage and modern cards. Someone almost always has current wax boxes. Especially if VSM Sports Card Outlet decides to setup. I haven’t been to this show since 2015. Jim Palmer was the guest in 2016, and Brooks Robinson was there in 2017. 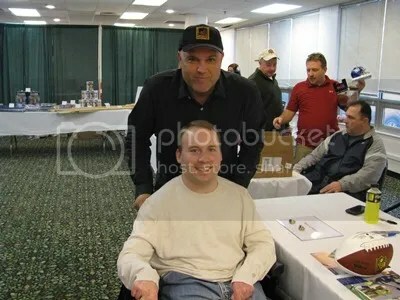 Both of whom I already had autographs of. 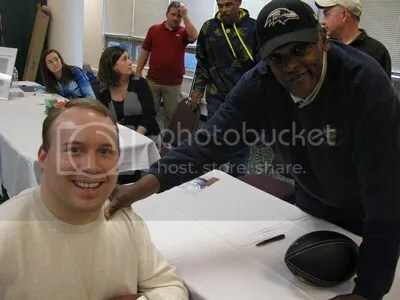 Last March Tony Perez was there, but I wasn’t able to attend. I’m going to try and make it this time. Card shows with signers like this don’t popup in my area as much as they once did. 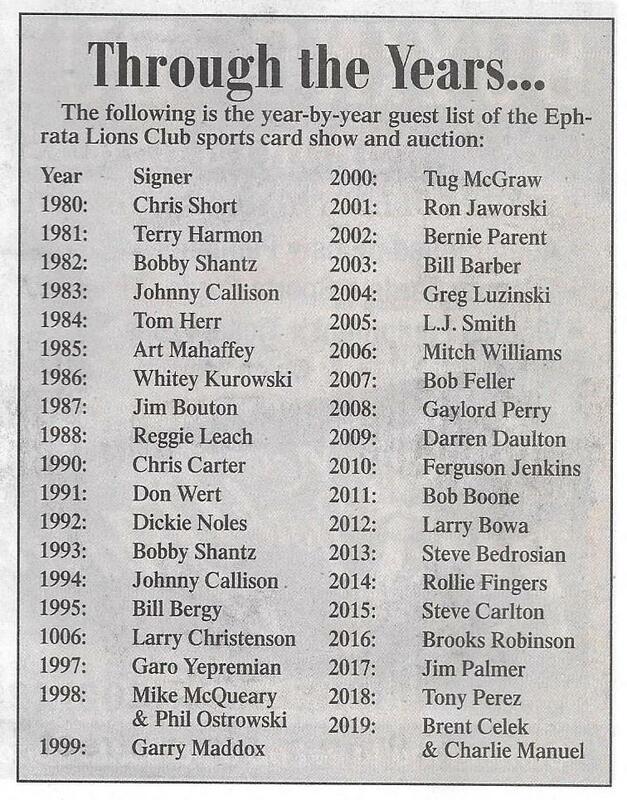 When I first got into collecting, the Ephrata Lions Club Sports Card Show in my mind was the biggest show in the world. I didn’t think they got any larger than that. The National put that into perspective. So did the Philly Show when it was held in Fort Washington and Reading. Of all the ups and downs this industry has had, to keep this going strong for 40 years is amazing. I’m already craving one of those 10:00 a.m. hot dogs they serve up. More details about the show can be viewed on their website and in this press release. I haven’t attended the Ephrata Lions Club Sports Card Show since 2015. Not because I couldn’t, but because their autograph guests were people I already had signatures from – Jim Palmer and Brooks Robinson. Their next show is scheduled for March 24, 2018 and will feature Baseball Hall Of Famer Tony Perez. I don’t have Perez on any of my bats, so I’ve put the show on my schedule. If you’re in the area, I highly recommend checking it out. 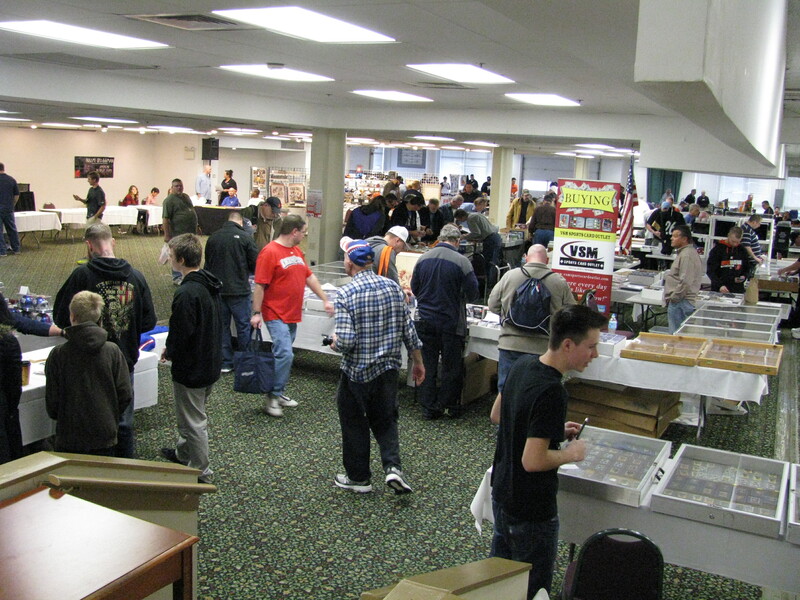 Dealer tables usually take up a couple of basketball courts. Lots of Phillies, Eagles, and Steelers items. For more information, please check out their website. This show has been around for 39 years. Not many have been able to continue for that long. 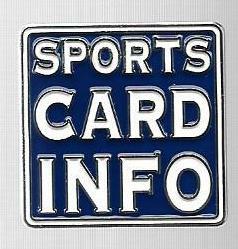 I might even take some Sports Card Info pins to hand out. UPDATE: Due to a family emergency, Jim Palmer will not be attending the show. Brooks Robinson will be in his place. 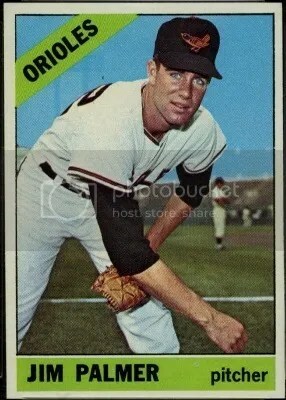 Former Baltimore Orioles pitcher and Baseball Hall of Famer Jim Palmer is scheduled to sign autographs during the 37th annual Ephrata Lions Club Sports Card Show. 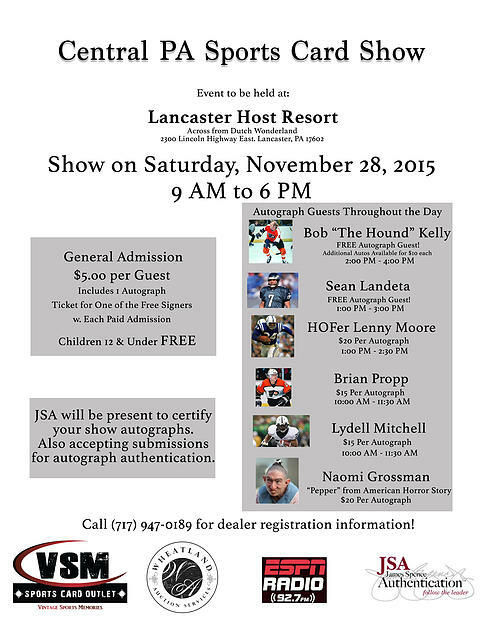 Additional information about the show and signing can be found on the Ephrata Lions Club website. The next show takes place on Saturday, March 19, 2016. 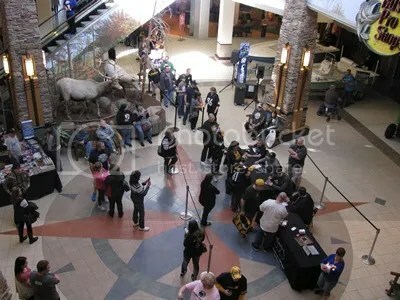 If you plan on getting an autograph, I recommend getting there early. The sooner you get your autograph ticket, the earlier you’ll be able to get your autograph. 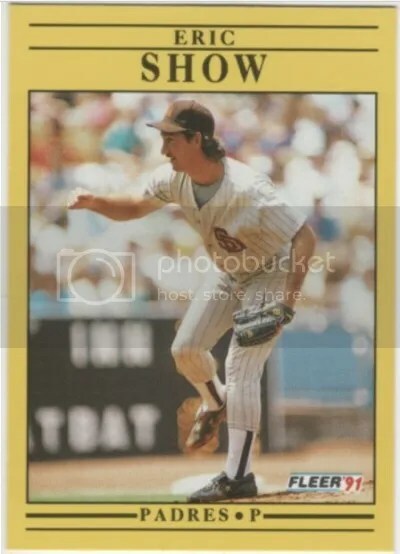 Tickets for Steve Carlton sold out fast last year. The Ephrata Lions Club Show is usually a good one. 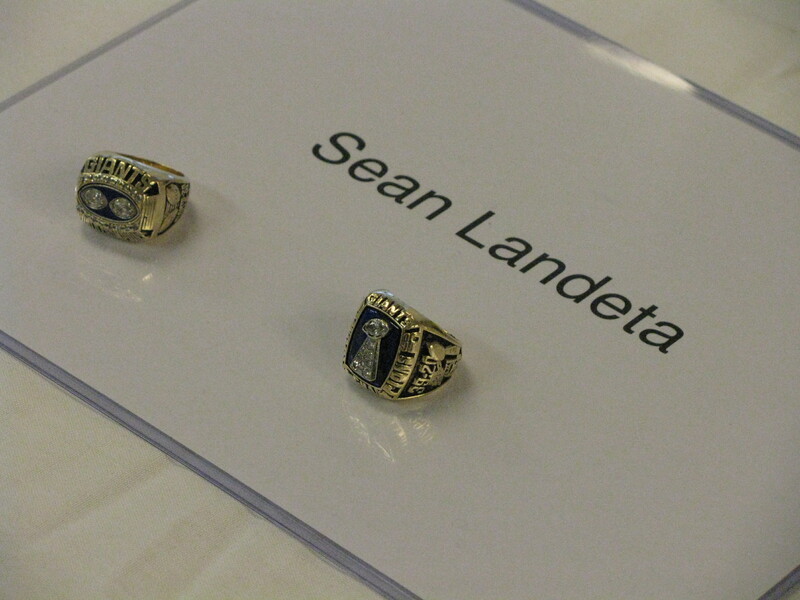 While attending the show last March, I opened a few boxes of 2015 Leaf Metal Football. Those two boxes contained a Jameis Winston autograph #’ed/10, and an Amari Cooper autograph #’ed/1. Over the years I’ve also found lots of stuff for my Harry Kalas collection too. I’m not sure if I’ll go to this show. 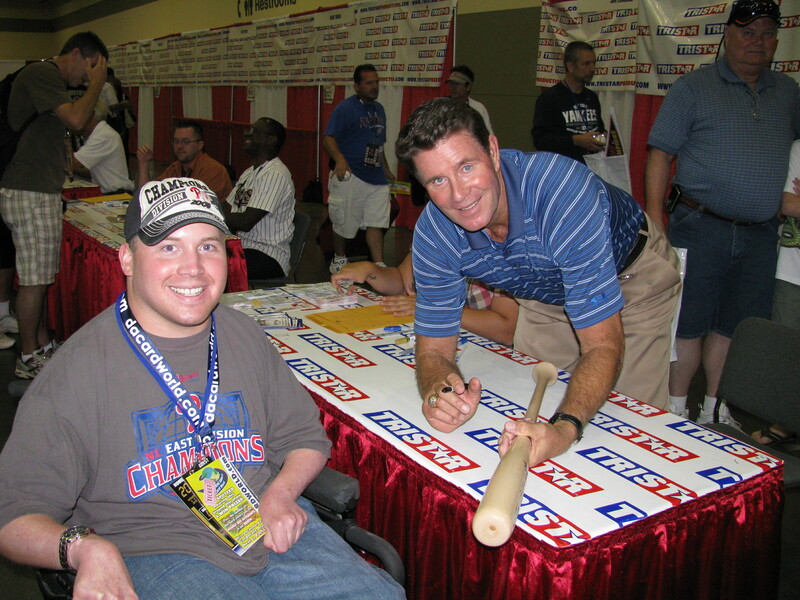 When the National Sports Collectors Convention was in Baltimore for the first time in 2010, I got Jim Palmer to sign a bat. I really don’t need to get his autograph again. Who knows? Maybe I’ll just go for the show.